Why Moduware can be a new hardware standard? For example, for a room digital thermometer, you will have a temperature sensor as a core element and secondary elements: battery, screen, buttons, charging slot, IC, complex plastic or metal housing. Up to 95% of the product doesn’t serve its primary function and you pay for it! When I say pay I not only mean money out of your pocket but also the environmental pollution (battery, plastics production, etc…) and innovation speed cost. What does an innovation speed cost mean? See an example below. In most cases that means that you will need a significantly bigger team and potentially an investor to finance all the production. Also, investor says to you that you should pursue the growing IoT market and add Bluetooth into your device, develop a mobile app for it and let users save their readings in Cloud. Really important, investment condition important. Here you probably will stop me and say “Hey dude, but my friends and I don’t want to do all this boring stuff! We already made the cool sensor, can’t we just sell it? Screw all batteries, plastics and other things”. Sure thing, you can. Just be ready for the reality check when each device with your sensor and a price tag of 30 to 80 US$ you will earn about 1-3 US$. Sounds unfair right? You are the guys who made the innovation, but you are ones getting the least out of it. 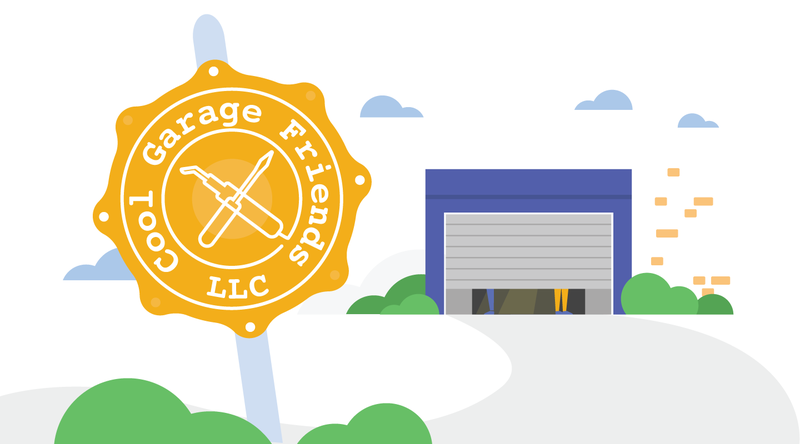 “Cool Garage Friends LLC” goes modular. Moduware provides mass production ready PCB and Housing templates to streamline your leap to the market. 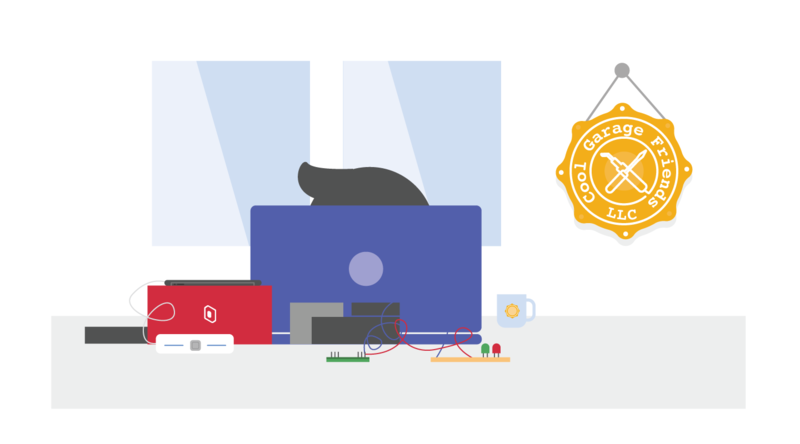 By removing redundant hardware components, the small team like “Cool Garage Friends LLC” or even an individual maker can make a complete, market-ready product without building a corporation for it. Time for you to interrupt me and say “Alex, sounds cool, but who will make an app for us? Clearly, we will need to hire someone for it”. Well, we at Moduware really love templates, and we provide them for module interfaces (“tiles”) too. And in our tiles, we are also removing all of the redundant parts. A simple tile for a module can be crafted by a kid with copy and paste as a method of programming. You also have an option to open your module for a community of tile developers so that they can build their own interfaces or multi-module solutions on top of it. By doing so, you can focus on the hardware aspect and perfect your sensor, while community thinks about creating the best UI for it. And here is the last concern that crush dreams of many makers and sooner or later will come to you too: “But how I can sell and market my module? I dunno anything about it…”. Yeah, this one is tough, but we can aid with it too! You can sell your module at our webshop, and furthermore, we plan to bring the e-shop right in our app, as close to potential users as you can get. Do you remember how application stores on smartphones empowered individuals app devs and how indie game developers got empowered with platforms like Steam? We are aiming to do so with hardware. No longer will the challenges of hardware redundancy dictate the fate of a product, free the maker, Viva la Revolucion! Our platform is in its early years now, and while it is available for most of the applications, there are some limitations related to a communication channel (BLE speed limitation) and on-gateway data processing. These two and other minor issues that we will resolve in future iterations of the platform while keeping it backwards compatible. 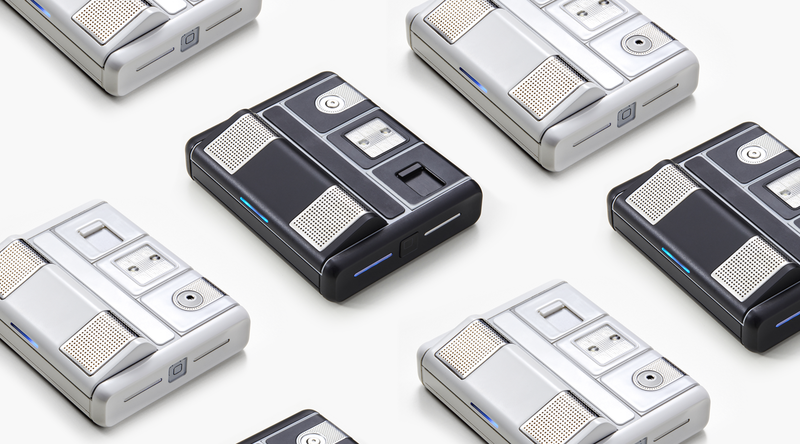 We will expand our platform by adding other kinds of modular devices to our existing modular power bank, and we will improve it by making our hardware more universal with a variety of new features for any module to use. Our mission is to open as many hardware niches as possible for individual developers and decrease innovation cost for the benefit of both creator and consumer. You can check our website to see what’s available now: https://moduware.com. You can check our developer’s documentation, it is still a work in progress, and we are improving it every day: https://github.com/moduware/developer-documentation. We have a meetup group in Melbourne, Australia and planning a series of workshops, join us: https://meetup.com/Moduware-Melbourne/. If you are unable to join us at workshops in person, we are planning to record them and publish them onto our youtube channel. Stay tuned and follow us on social media for more updates!